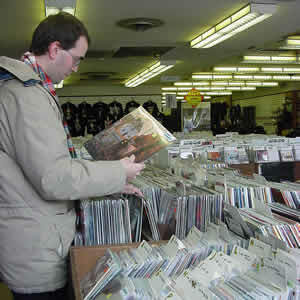 Ten years ago, distribution was one of the main reasons artists needed record labels. Of course their marketing and recording budgets didn’t hurt either, but that’s what crowdfunding is for today. Just like crowdfunding, independent artists now have access to channels of distribution outside of the major label supply chain. The simplest and most direct of these channels consist of free streaming websites such as bandcamp, SoundCloud, and ReverbNation which allow artists to create profiles, e-mail databases, sell music, and interact with other artists and fans alike. All of these actions are a form of direct marketing or personal selling. Direct marketing bypasses the supply chain completely, or “cuts out the middleman” by going straight to the consumer. If you’re as old as me and ever used MySpace, I’m sure you’ll remember how many bands became successful simply by creating social media profiles and interacting with their fans in real time. This type of direct marketing was free, added value to the customer’s experience, and allowed the artists to become their own managers, publicists, and distributors. Though MySpace is no longer the internet powerhouse it once was (R.I.P. ), there are other methods of distribution which do similar things. 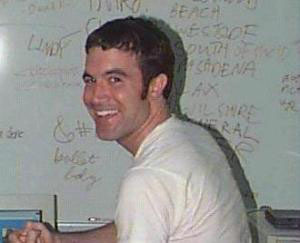 You were my first friend Tom, but I feel like I hardly knew you. The first aspect of distribution is to set a goal. Do you want all of your fans with smartphones to be able to purchase your music on the go? Or do you have older fans who would like to buy a physical CD at a store or concert? Maybe you’re extremely hip and are offering vinyl through mail-order. Believe it or not, some major radio stations are now playing local and independent artists as frequently as national ones and maybe you’d like to get yourself a slice of that market share. Successful distribution requires having a plan in place which allows you, the independent artist, to distribute your music at the lowest possible cost to the largest possible audience. For organization’s sake, we’ll break the channels of distribution into two categories. We’ll start with digital by covering streaming and purchasing, then move to physical where we’ll cover brick and mortar stores, radio, and selling merchandise at concerts. Like I said before, the melting pot of social networking sites, artist profiles, and e-commerce has met at a crossroads and churned out sites like ReverbNation and SoundCloud. These sites stream music, which simply means that listeners can play the music for free on their websites. Other programs such as Spotify, Pandora, and Rdio offer similar services, but are organized differently, have smartphone applications, and may offer membership costs for more premium services. Regardless, if your goal is to put your music in the hands of your target market without any financial return, then this is an excellent route to take. As we discussed in the pricing article, the freemium model can be a great marketing tactic which drives fans to your concerts and other merchandise. If your goal is to have a financial return on investment, then that is where iTunes, Amazon, and other digital retailers come in. As I’ve mentioned before, these do not cost a lot of money, offer instant gratification to smartphone users, and are reputable retailers which add authenticity and credibility to your brand image. Of course there are websites which offer both streaming and the ability to purchase, and I’ll have to admit that bandcamp is my personal favorite. Bandcamp allows for artist and fan accounts, has a smartphone application, and costs the independent artist next to nothing to use. The internet is not exactly tangible, and sometimes there’s nothing better than hearing a new song on the radio, seeing a band live and picking up one of their CDs, or digging in the crates at your local indie record shop. CDs and download cards are products which can easily be sold at your concerts, as setting up a merch booth takes little effort and can offer excellent visibility, opportunity, and revenue. It has also never been easier to place your products on the shelves of brick and mortar stores such as independent record shops, coffee shops, and other small businesses in your community. As far as getting your music on the radio, there are two radio stations right here in Columbus, Ohio which often play local music. In fact, in researching for this article, I was surprised to see my former bandmates from Someone Like You in rotation on 99.7 The Blitz Local Stuff with their new group We Are The Movies. Another admirable local radio station is CD102.5 who plays local indie rock on their Frontstage program every week. Another method often unknown to many independent artists is licensing. I could write an entire article about this and probably will someday, but the bottom line is this: if you simply want your music to be heard, you can partner with a publisher (or become your own) and license your songs to movies, TV stations, and companies who play music in restaurants and shopping malls. This type of distribution pays a royalty, and allows for the general public to be exposed to your work. As you may have realized by now, distribution comes in many different shapes and sizes. It all depends on your target market and what is the best way to reach them. As technology changes, so will the supply chain, but the end goal will always be the same: to have your voice heard.